Rose Garden- A real splendor of 50 red and yellow roses basket for the best and closest ones! 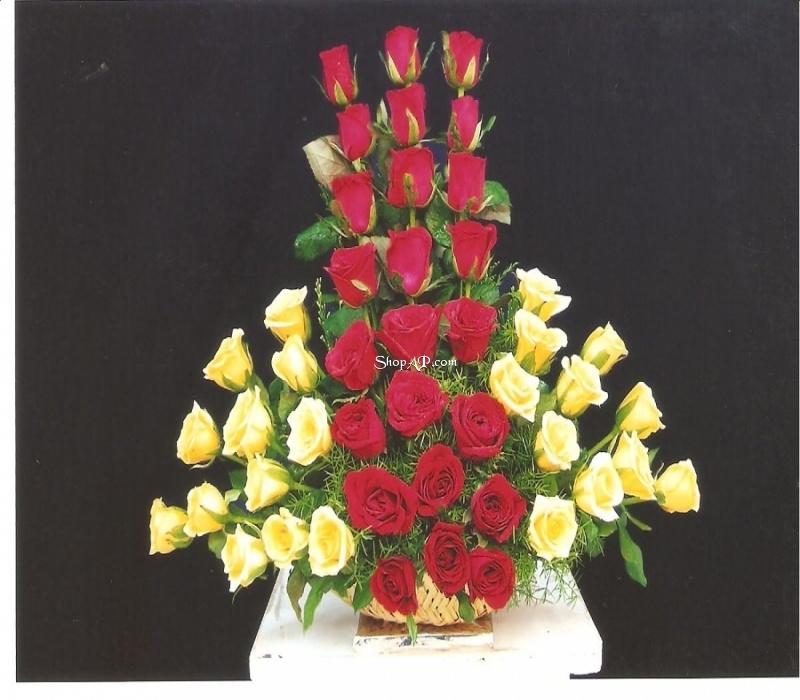 Red rose is symbol of love, affection and passion while yellow roses accentuate friendship. A mix of love and friendship is not only for your spouse but friends too. For never ending bond, send flowers like roses bouquet to strengthen relationship by selecting our flower midnight delivery. For any occasion, choose the flowers bouquet through flower home delivery service. Our florist will help make arrangements through flower home delivery for someone special in order to leave an impact on his heart.